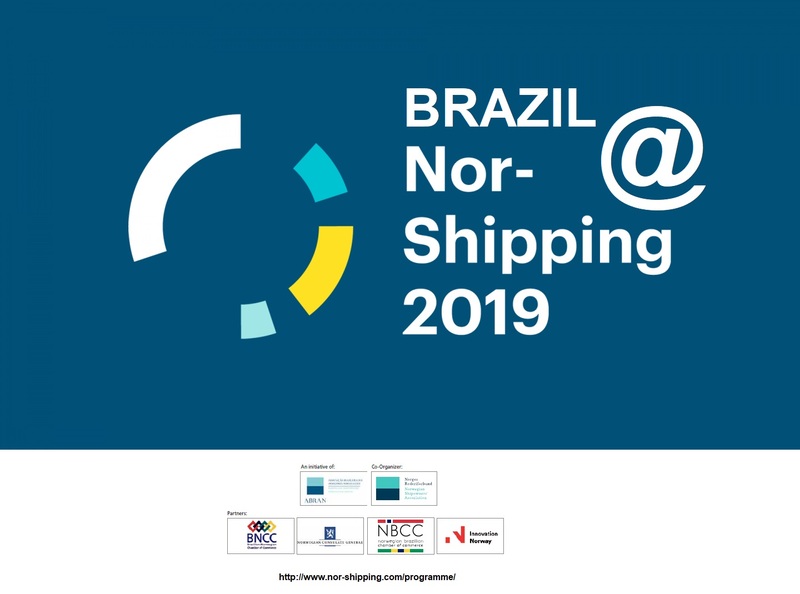 For the third time, NBCC is taking part in the Brazilian delegation participating at Nor-Shipping in Oslo, one of the main, international, maritime events. Nor-Shipping takes place for the 27th time this year, and more than 35.000 visitors from 80 countries are expected to visit the exhibition and seminars in June. The Brazil seminars have certainly earned its place on the agenda of seminars and conferences during the busy Nor-Shipping week. 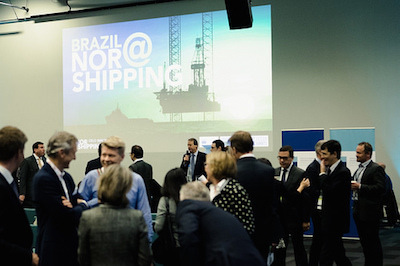 This year´s Brazil@Norshipping seminars are scheduled for June 5 and 6, 2019. According to Ricardo Cesar Fernandes, Executive Director of Abran, the interest in being a part of the Brazilian delegation is good, and he hopes to see an even bigger group traveling to Nor-Shipping in 2019. ANP Director Décio Oddone, BNDES president Joaquim Levy, Director of Ports and Coasts (DPC), Admiral Wilson Pereira de Lima Filho, top Petrobras executives and many others have already confirmed their presence in Oslo. In 2017, a 60 people strong Brazilian delegation were present at Nor-Shipping and many NBCC members were present both as visitors and exhibitors. «Norway is attracting interest from many Brazilian stakeholders. Different this year is a clearer focus on ocean and related industries as an integrated concept. The organizers would like to present local opportunities in Brazil, within the ocean industries, to Norwegian investors», he explains. The seminar will highlight the opportunities of the Brazilian maritime and offshore shipping sector and the importance of new technologies and greener operations, and the organizers hope that the panels and debates will serve as a drive for reflection on the topic. According to the program, the different panels will “explore the new Brazilian outlook, the great business opportunities and potential to strengthening partnership with Norwegian Ocean industries”. It will also cover aspects that Brazil is undertaking unprecedented social, political, cultural an economic transformation enable by a more conscious society demanding for substantial changes towards a sustainable growth and job creation. NBCC also has an important role in the planning of the seminars. «Building on the successful past editions of Brazil@NorShipping, for the third year NBCC is joining forces with ABRAN, the Consulate General and other partners to organize a delegation to Nor-Shipping 2019. The recovery of the confidence in the Brazilian offshore energy and maritime sectors, the recent investments from IOCs, and the new government make us believe that this year’s Nor-Shipping will be a very promising one in terms of promoting collaboration and strengthening relationships with key industry players and governmental stakeholders. We are looking forward to having a strong Brazilian delegation and participation in the conference, supporting the promotion of sustainable business related to the ocean economy between both counties», says NBCC president Alex Imperial. Nor-Shipping takes place for the 27th time, making it the longest running event of its kind in the world. Norway is also considered a global maritime hub, in control of the fifth largest merchant fleet in the world. Nor-Shipping is the largest such event of the year, not only in Scandinavia, but also in Europe. For more information, access the Nor-Shipping website. See you at Nor-Shipping in Oslo from 04-07 June 2019!